All cats are magical, but some cats are MAGIC! 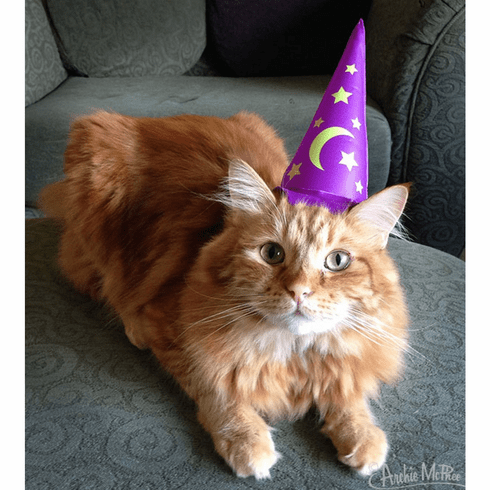 Those special cats need an Inflatable Wizard Hat for Cats. This vinyl 6-1/2" (16.5 cm) tall hat is held on kitty's noggin with a four-point elastic strap system. Your own little Meowlin will even be able to practice wizardry at night because it glows in the dark. Magic cats love it! Illustrated box.